The 20-year-old Buildbase Suzuki star came out of nowhere to challenge the frontrunners towards the end of the dry second race and looked set to challenge for the win at one point before he began struggling with arm pump and decided to settle for third. Ray has impressed this year, consistently beating Suzuki team-mates Sylvain Guintoli and Taylor Mackenzie, and has been steadily pushing towards the top six since relatively early in the year. 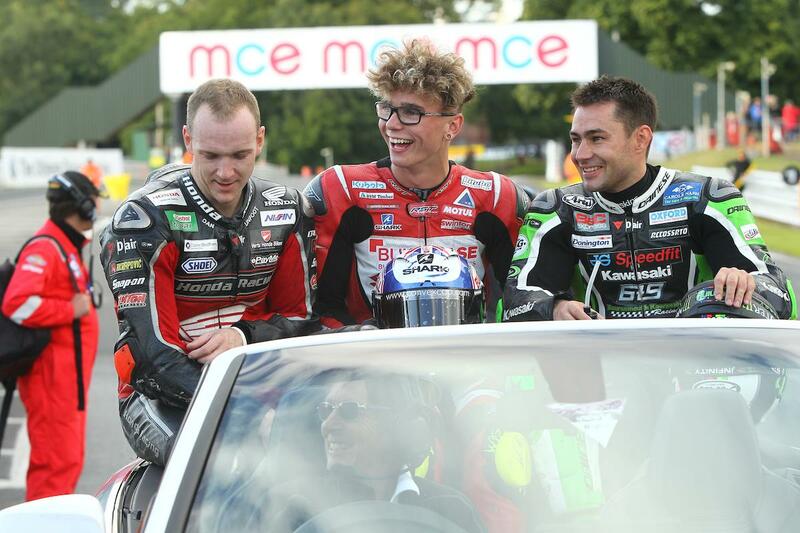 Tipped as a big name for the future, Ray held his own to fight past names such as BSB champions Shane Byrne and Josh Brookes before holding his own in a battle with the vastly more experienced race leaders Dan Linfoot and Leon Haslam. “That was unbelievable!” said an overjoyed Ray after the race. “I was a bit worried this morning as the weather wasn’t looking too great and I’ve been struggling to find confidence with the Superbike in the wet. “We managed to find something with our wet setting in warm-up and I felt good on the bike in the wet for the first time and was able to run with the front group and finish seventh in race one.